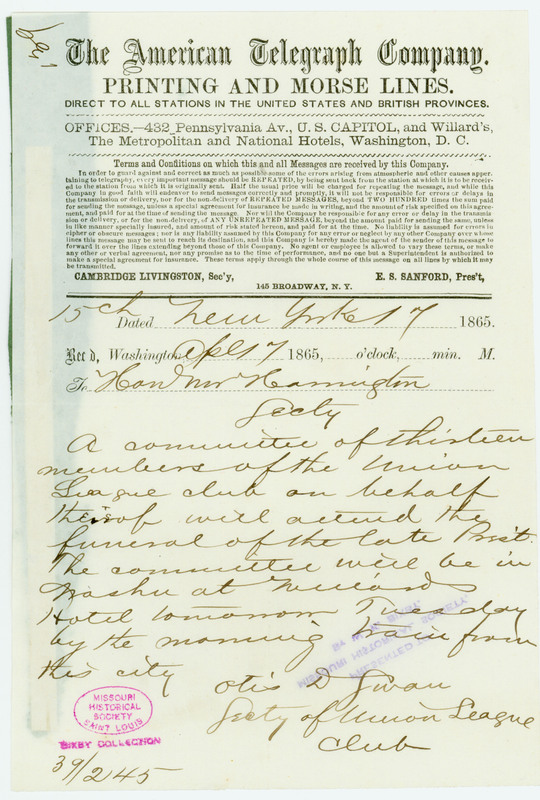 States, "A committee of thirteen members of the Union League club on behalf thereof will attend the funeral of the late Pres't. . . ." Regarding plans for Abraham Lincoln's funeral.